To achieve goals for climate and economic growth, “negative emissions technologies” (NETs) that remove and sequester carbon dioxide from the air will need to play a significant role in mitigating climate change. Unlike carbon capture and storage technologies that remove carbon dioxide emissions directly from large point sources such as coal power plants, NETs remove carbon dioxide directly from the atmosphere or enhance natural carbon sinks. Storing the carbon dioxide from NETs has the same impact on the atmosphere and climate as simultaneously preventing an equal amount of carbon dioxide from being emitted. Recent analyses found that deploying NETs may be less expensive and less disruptive than reducing some emissions, such as a substantial portion of agricultural and land-use emissions and some transportation emissions. The potential for energy resource development on Department of Energy (DOE)-managed lands remains a topic of interest within DOE, Congress, and with private developers interested in siting projects on DOE lands. Several previous studies have estimated the energy resource development potential using various approaches and methodologies. The National Renewable Energy Laboratory (NREL) was tasked by the DOE Office of Legacy Management in 2013 with conducting a study to further refine and build upon previous analyses and to assess energy resource development potential on these lands. Utilizing the Energy Resource Potential of DOE Lands reviews and comments on the NREL study. Observations play a foundational role in documenting the state and variability of components of the climate system and facilitating climate prediction and scenario development. Regular and consistent collection of ocean observations over decades to centuries would monitor the Earth’s main reservoirs of heat, carbon dioxide, and water and provides a critical record of long-term change and variability over multiple time scales. Sustained high-quality observations are also needed to test and improve climate models, which provide insights into the future climate system. Sustaining Ocean Observations to Understand Future Changes in Earth’s Climate considers processes for identifying priority ocean observations that will improve understanding of the Earth’s climate processes, and the challenges associated with sustaining these observations over long timeframes. This report assesses the process used to develop the dietary guidelines for Americans; it does not evaluate the substance or use of the guidelines. As part of an overall, comprehensive review of the process to update the DGA, this first report seeks to discover how the advisory committee selection process can be improved to provide more transparency, eliminate bias, and include committee members with a range of viewpoints for the purpose of informing the 2020 cycle. Responding to advice provided in a 2015 report from the National Academies, the Edwards Aquifer Authority has made several improvements to its 15-year Habitat Conservation Plan, the goal of which is to protect endangered species while supporting water needs in the region. This report finds that good progress has been made in ecological modeling, in biological and water quality monitoring, and in implementation of the plan's minimization and mitigation. Produced water—water from underground formations that is brought to the surface during oil and gas production—is the greatest volume byproduct associated with oil and gas production. A workshop was conducted by the National Academies to highlight the challenges and opportunities associated in managing produced water from unconventional hydrocarbon development, and particularly in the area of potential beneficial uses for these waters. This publication summarizes the presentations from the workshop. The National Marine Fisheries Service (NMFS) of the National Oceanic and Atmospheric Administration is responsible for collecting information on marine recreational angling. It does so principally through the Marine Recreational Information Program, a survey program that consists of an in-person survey at fishing access sites and a mail survey, in addition to other complementary or alternative surveys. This report recognizes the progress that NMFS has made, including major improvements in the statistical soundness of its survey designs, and also highlights some remaining challenges and provides recommendations for addressing them. One of the most significant and uncertain aspects of climate change projections is the impact of aerosols on the climate system. Advancements have been made in recent years on understanding the complex processes and atmospheric interactions involved when aerosols interact with surrounding clouds, but further progress has been hindered by limited observations. The National Academies organized a workshop to discuss the usefulness of the classified observing systems in advancing understanding of cloud and aerosol interactions. This publication summarizes the presentations and discussions from the workshop. The United States faces numerous, varied, and evolving threats to national security, including terrorism, scarcity and disruption of food and water supplies, extreme weather events, and regional conflicts around the world. The National Geospatial-Intelligence Agency (NGA) is responsible for providing geospatial intelligence on other countries in support of national security, disaster response, and humanitarian assistance. This report describes the types of models and analytical methods used to understand real-world systems, discusses what would be required to make these models and methods useful for geospatial intelligence, and identifies supporting research and development for NGA. This report reviews an 11-year regional study carried out by the U.S. Army Corps of Engineers and the South Florida Water Management District to assess the regional effects of large-scale aquifer storage and recovery in the Florida Everglades. The regional study represents a significant advancement in the understanding of large-scale implementation in south Florida; however, there are still many uncertainties that merit additional study before large-scale aquifer storage and recovery is implemented. Phased implementation of aquifer storage and recovery could provide incremental near-term storage benefits while also addressing the critical uncertainties that remain. The signals are everywhere that our planet is experiencing significant climate change. It is clear that we need to reduce the emissions of carbon dioxide and other greenhouse gases from our atmosphere if we want to avoid greatly increased risk of damage from climate change. Aggressively pursuing a program of emissions abatement or mitigation will show results over a timescale of many decades. 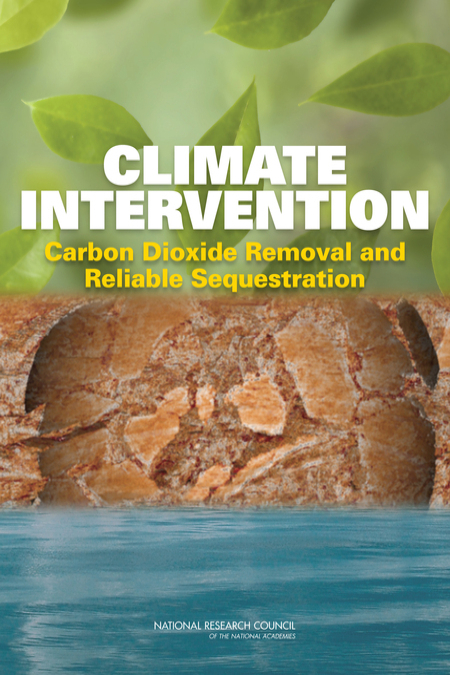 As one of a two-book report, this volume of Climate Intervention discusses CDR, the carbon dioxide removal of greenhouse gas emissions from the atmosphere and sequestration of it in perpetuity. 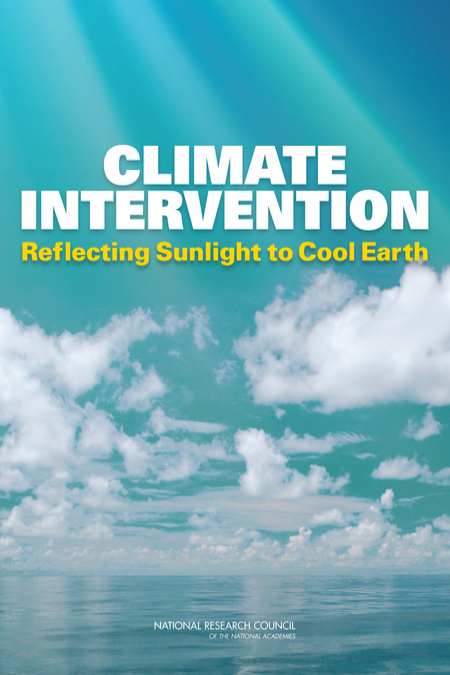 As one of a two-book report, this volume of Climate Intervention discusses albedo modification - changing the fraction of incoming solar radiation that reaches the surface. This approach would deliberately modify the energy budget of Earth to produce a cooling designed to compensate for some of the effects of warming associated with greenhouse gas increases. The prospect of large-scale albedo modification raises political and governance issues at national and global levels, as well as ethical concerns. This report discusses some of the social, political, and legal issues surrounding these proposed techniques. Ocean science connects a global community of scientists in many disciplines - physics, chemistry, biology, geology and geophysics. Comprehensive understanding of the global ocean is fundamental to forecasting and managing risks from severe storms, adapting to the impacts of climate change, and managing ocean resources. In the United States, the National Science Foundation (NSF) is the primary funder of the basic research which underlies advances in our understanding of the ocean. This report addresses the strategic investments necessary at NSF to ensure a robust ocean scientific enterprise over the next decade. The U.S. Department of Agriculture (USDA) is the primary agency responsible for supporting innovations and advances in food and agriculture. USDA funds are allocated to support research through several mechanisms, including the Agriculture and Food Research Initiative (AFRI). In 2008, Congress replaced USDA's National Research Initiative with AFRI, creating USDA's flagship competitive research grants program, and the 2008 Food, Conservation, and Energy Act, known as the Farm Bill, outlined the structure of the new program. 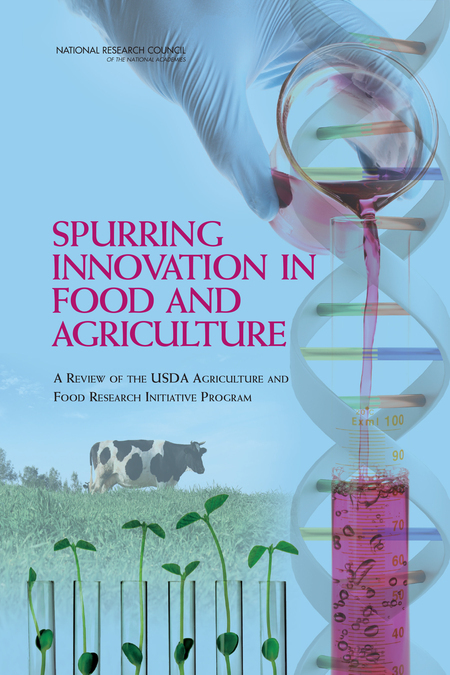 This report assesses the effectiveness of AFRI in meeting the goals laid out by Congress and its success in advancing innovations and competitiveness in the U.S. food and agriculture system. This report summarizes presentations and discussions of Mississippi River and basin water quality management, monitoring, and evaluation programs that took place at a workshop that was held in St. Louis on November 18-19, 2013. The workshop examined a wide array of challenges and progress in water quality monitoring and evaluation in states along the Mississippi River corridor, and provided a forum for experts from U.S. federal agencies, the Mississippi River states, nongovernmental organizations, and the private sector to share and compare monitoring and evaluation experiences from their respective organizations. While one of the many benefits of the U.S. food system is a safe, nutritious, and consistent food supply, that same system also places significant strain on land, water, air, and other natural resources. 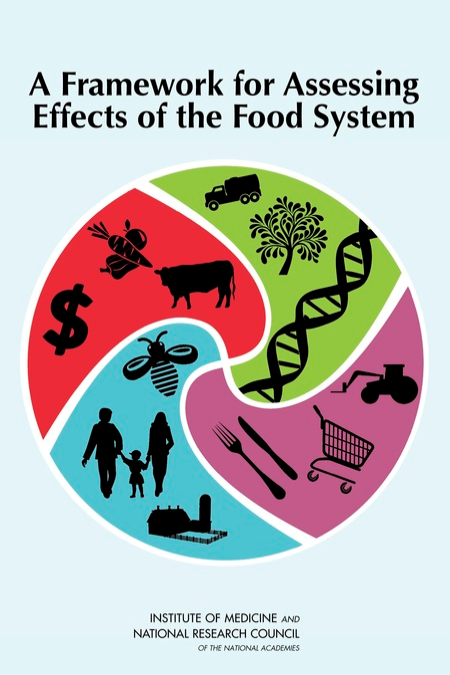 A better understanding of the food-environment synergies and trade-offs associated with the U.S. food system would be one way to help reduce this strain. In order to bring together experts in these fields, the Institute of Medicine held a workshop in May 2013. Participants in the workshop explored current and emerging knowledge on the food and nutrition policy implications of increasing environmental constraints on the food system as well as the relationship between human health and the environment. Humans rely on the natural environment - such as oceans and coastal waters - for essential human services like providing food and essential dietary nutrients and purifying drinking water. These benefits are referred to as ecosystem services. With growing populations and increasing standards of living globally, additional pressures will be placed on the world's oceans and waterways to provide essential services. In November 2012, the Institute of Medicine's Roundtable on Environmental Health Sciences, Research, and Medicine held a workshop to discuss coastal waters and ocean ecosystem services in the United States and to understand the impacts on human health. This report summarizes the workshop. A jointly produced publication of The US National Academy of Sciences and The Royal Society, this publication is intended as a brief, readable reference document for decision makers, policy makers, educators, and other individuals seeking authoritative information on the some of the questions that continue to be asked. This report makes clear what is well-established and where understanding is still developing. It echoes and builds upon the long history of climate-related work from both national academies, as well as on the newest climate-change assessment from the United Nations' Intergovernmental Panel on Climate Change. It touches on current areas of active debate and ongoing research, such as the link between ocean heat content and the rate of warming. Both abrupt changes in the physical climate system and steady changes in climate that can trigger abrupt changes in other physical, biological, and human systems present possible threats to nature and society. Abrupt change is already underway in some systems, and large scientific uncertainties about the likelihood of other abrupt changes highlight the need for further research. However, with recent advances in understanding of the climate system, some potential abrupt changes once thought to be imminent threats are now considered unlikely to occur this century. 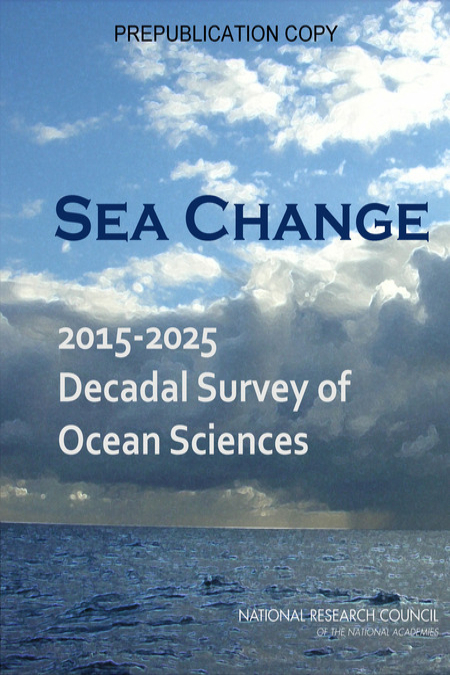 This report summarizes the current state of knowledge on potential abrupt changes to the ocean, atmosphere, ecosystems, and high latitude areas, and identifies key research and monitoring needs. This report reviews the technical specifications that underlie current federally-implemented rebuilding plans, and the outcomes of those plans. According to this report, fisheries management has evolved substantially since 1977 when the U.S. extended its jurisdiction to 8 200 miles, in the direction of being more prescriptive and precautionary in terms of preventing overfishing and rebuilding overfished fisheries. However, the trade-offs between precaution and yield have not been fully evaluated. The report discusses the methods and criteria used to set target fishing mortality and biomass levels for rebuilding overfished stocks, and to determine the probability that a particular stock will rebuild by a certain date. The Water Institute of the Gulf is a not-for-profit, independent research institute dedicated to advancing the understanding of coastal, deltaic, river and water resource systems, both within the Gulf Coast and around the world. Their mission supports the practical application of innovative science and engineering, providing solutions that benefit society. The Water Institute of the Gulf began operations in 2012. This report offers advice to the institute that it might use as part of its strategic planning process. The report focuses on strategic research to support integrated water resources management in the lower Mississippi River delta and includes international comparative assessments. The U.S. food system provides many benefits, not the least of which is a safe, nutritious, and consistent food supply. However, the same system also creates significant environmental, public health, and other costs that generally are not recognized and not accounted for in the retail price of food. A better understanding of external costs would help decision makers at all stages of the life cycle to expand the benefits of the U.S. food system even further. A workshop held in April 2012 focused on the environmental and health impacts of food, using externalities as a basis for discussion and animal products as a case study. The intention was not to quantify costs or benefits, but rather to lay the groundwork for doing so. A major goal of the workshop was to identify information sources and methodologies required to recognize and estimate the costs and benefits of environmental and public health consequences associated with the U.S. food system. The first two decades of the U.S. Geological Survey's National Water Quality Assessment (NAWQA) Program have provided a successful and useful assessment of U.S. water-quality conditions, how they have changed over time, and how natural features and human activities have affected those conditions. Now, planning is underway for the third decade (Cycle 3) of the Program outlined in the Science Plan, with challenges including ensuring that the NAWQA remain a national program in the face of declining resources, balancing new activities against long-term studies, and maintaining focus amidst numerous and competing stakeholder demands. The Science Plan for Cycle 3 articulates a forward-thinking vision for NAWQA science over the next decade, building on the previous cycles' data, experience, and products. To meet the national needs outlined in the plan, NAWQA would need to emphasize collaboration with other USGS and external programs, and with other federal agencies, state and local governments, and the private sector. Tide gages show that global sea level has risen about 7 inches during the 20th century, and recent satellite data shows that the rate of sea-level rise is accelerating. As Earth warms, sea levels are rising mainly because ocean water expands as it warms; and water from melting glaciers and ice sheets is flowing into the ocean. Sea-level rise poses enormous risks to the valuable infrastructure, development, and wetlands that line much of the 1,600 mile shoreline of California, Oregon, and Washington. As those states seek to incorporate projections of sea-level rise into coastal planning, they asked the National Research Council to make independent projections of sea-level rise along their coasts for the years 2030, 2050, and 2100, taking into account regional factors that affect sea level. This report explains that sea level along the U.S. west coast is affected by a number of factors. These include: climate patterns such as the El Nino, effects from the melting of modern and ancient ice sheets, and geologic processes, such as plate tectonics. Regional projections for California, Oregon, and Washington show a sharp distinction at Cape Mendocino in northern California. South of that point, sea-level rise is expected to be very close to global projections. Twelve years into the Comprehensive Everglades Restoration Project, little progress has been made in restoring the core of the remaining Everglades ecosystem; instead, most project construction so far has occurred along its periphery. To reverse ongoing ecosystem declines, it will be necessary to expedite restoration projects that target the central Everglades, and to improve both the quality and quantity of the water in the ecosystem. The new Central Everglades Planning Project offers an innovative approach to this challenge, although additional analyses are needed at the interface of water quality and water quantity to maximize restoration benefits within existing legal constraints. This report explains the innovative approach to expedite restoration progress and additional rigorous analyses at the interface of water quality and quantity will be essential to maximize restoration benefits. Across the United States, thousands of hazardous waste sites are contaminated with chemicals that prevent the underlying groundwater from meeting drinking water standards. These include Superfund sites and other facilities that handle and dispose of hazardous waste, active and inactive dry cleaners, and leaking underground storage tanks; many are at federal facilities such as military installations. While many sites have been closed over the past 30 years through cleanup programs run by the U.S. Department of Defense, the U.S. EPA, and other state and federal agencies, the remaining caseload is much more difficult to address because the nature of the contamination and subsurface conditions make it difficult to achieve drinking water standards in the affected groundwater. This report estimates that at least 126,000 sites across the U.S. still have contaminated groundwater, and their closure is expected to cost at least $110 billion to $127 billion. About 10 percent of these sites are considered "complex," meaning restoration is unlikely to be achieved in the next 50 to 100 years due to technological limitations. Recent well documented reductions in the thickness and extent of Arctic sea ice cover, which can be linked to the warming climate, are affecting the global climate system and are also affecting the global economic system as marine access to the Arctic region and natural resource development increase. Understanding and projecting future sea ice conditions is important to a growing number of stakeholders, including local populations, natural resource industries, fishing communities, commercial shippers, marine tourism operators, national security organizations, regulatory agencies, and the scientific research community. However, gaps in understanding the interactions between Arctic sea ice, oceans, and the atmosphere, along with an increasing rate of change in the nature and quantity of sea ice, is hampering accurate predictions. Establishing sustained communication between the user, modeling, and observation communities could help reveal gaps in understanding, help balance the needs and expectations of different stakeholders, and ensure that resources are allocated to address the most pressing sea ice data needs. Scientific evidence shows that most glaciers in South Asia's Hindu Kush Himalayan region are retreating, but the consequences for the region's water supply are unclear, this report finds. The Hindu Kush Himalayan region is the location of several of Asia's great river systems, which provide water for drinking, irrigation, and other uses for about 1.5 billion people. This report makes recommendations and sets guidelines for the future of climate change and water security in the Himalayan Region. This report emphasizes that social changes, such as changing patterns of water use and water management decisions, are likely to have at least as much of an impact on water demand as environmental factors do on water supply. Water scarcity will likely affect the rural and urban poor most severely, as these groups have the least capacity to move to new locations as needed. It is predicted that the region will become increasingly urbanized as cities expand to absorb migrants in search of economic opportunities. As living standards and populations rise, water use will likely increase-for example, as more people have diets rich in meat, more water will be needed for agricultural use. The effects of future climate change could further exacerbate water stress. Preserving the efficacy of herbicides and of herbicide-resistance technology depends on awareness of the increasing resistance of weeds to herbicides used in agriculture and coordinated action to address the problem by individuals at the farm level and beyond. In convening stakeholders for this event, participants took a step toward a recommendation from the 2010 National Research Council report. The Impact of Genetically Engineered Crops on Farm Sustainability in the United States that federal and state government agencies, private-sector technology developers, universities, farmer organizations, and other relevant stakeholders collaborate to document emerging weed-resistance problems and to develop cost-effective resistance-management programs and practices that preserve effective weed control. This report contains a brief synopsis of key points made by each speaker at the summit. Covering nearly 14 million km² (an area approximately 1.4 times the size of the United States), Antarctica is the coldest, driest, highest, and windiest continent on Earth. While it is challenging to live and work in this extreme environment, this region offers many opportunities for scientific research. However, conducting scientific research in the harsh environmental conditions of Antarctica is profoundly challenging. Substantial resources are needed to establish and maintain the infrastructure needed to provide heat, light, transportation, and drinking water, while at the same time minimizing pollution of the environment and ensuring the safety of researchers. This report suggests actions for the United States to achieve success for the next generation of Antarctic and Southern Ocean science. The report highlights important areas of research by encapsulating each into a single, overarching question. The questions fall into two broad themes: those related to global change and those related to fundamental discoveries. Most water resources managers, scientists, and other experts would agree that nonpoint source pollution is a more pressing and challenging national water quality problem today than point source pollution. Nonpoint sources of pollutants include parking lots, farm fields, forests, or any source not from a discrete conveyance such as a pipe or canal. Of particular concern across the Mississippi River basin (MRB) are high levels of nutrient loadings--nitrogen and phosphorus--from both nonpoint and point sources that ultimately are discharged into the northern Gulf of Mexico (NGOM). This report offers strategic advice and priorities for addressing MRB and NGOM water quality management and improvements. Although there is considerable uncertainty as to whether national water quality goals can be fully realized without some fundamental changes to the Clean Water Act, there is general agreement that significant progress can be made under existing statutory authority and budgetary processes. The indoor environment affects occupants' health and comfort. Poor environmental conditions and indoor contaminants are estimated to cost the U.S. economy tens of billions of dollars a year in exacerbation of illnesses like asthma, allergic symptoms, and subsequent lost productivity. Climate change has the potential to affect the indoor environment because conditions inside buildings are influenced by conditions outside them. This report addresses the impacts that climate change may have on the indoor environment and the resulting health effects. It discusses the role the Environmental Protection Agency (EPA) should take in informing the public, health professionals, and those in the building industry about potential risks and what can be done to address them. California's draft Bay Delta Conservation Plan-a draft plan to conserve habitat for endangered and threatened species, while continuing to divert water to agriculture and domestic water users in central and southern California-is incomplete and contains critical scientific gaps. The Bay Delta is a large, complex ecosystem that supplies water from the state's wetter northern regions to the drier southern regions, and also serves as habitat for many species. The Bay Delta Conservation Plan describes a proposal to construct a tunnel or canal to divert water from the northern Delta to the south, thus reducing the need to convey water through the Delta. This report reviews the use of science and adaptive management in the draft Bay Delta Conservation Plan and identifies opportunities to develop a more successful plan. The Chesapeake Bay is North America's largest and most biologically diverse estuary, as well as an important commercial and recreational resource. However, excessive amounts of nitrogen, phosphorus, and sediment from human activities and land development have disrupted the ecosystem, causing harmful algae blooms, degraded habitats, and diminished populations of many species of fish and shellfish. In 1983, the Chesapeake Bay Program (CBP) was established to address the extent, complexity, and sources of pollutants entering the Bay. The National Research Council (NRC) established the Committee on the Evaluation of Chesapeake Bay Program Implementation for Nutrient Reduction in Improve Water Quality in 2009 in response to a request from the EPA. The committee was charged to assess the framework used by the states and the CBP for tracking nutrient and sediment control practices that are implemented in the Chesapeake Bay watershed and to evaluate the two-year milestone strategy. The U.S. Army Corps of Engineers faces a water planning paradox: demands on national water resources are increasing and becoming more complex and, at the same time, federal budgets for water resources infrastructure are declining. Relatively new project goals, such as the restoration of ecosystems, are being added to the agency's traditional projects and responsibilities. Competing and growing demands for water resource project benefits, combined with the natural limits of hydrologic and ecological systems, present increasingly contentious decision making challenges. This National Research Council report affirms a need for Corps of Engineers leadership in many of the nation's major river and aquatic systems, as there will be a continued need for an innovative and responsive Corps to help address many national water planning challenges. This report is the first in a series of five annual reports providing independent advice on an array of strategic and planning issues, requested by the Corps.